LVbet – LV Spins on Archangels Salvation™! Enter an epic battle of Good vs. Evil with up to 75 LV Spins! Join the everlasting battle between Good and Evil as the Guardians of Heaven take on the Defenders of Hell in NetEnt’s latest slot Archangels: Salvation™. And with a 6×12 grid and 100 pay lines it is a first from the Swedish game provider that will draw players to the reels with thrilling Wild Features and wins of up to 375x stake. Give the new slot a spin at LVbet with up to 75 LV Spins on deposit. Celebrate the release of the latest Netent slot with a superb offer at LV Bet. Deposit today to instantly receive up to 75 LV Spins on Archangels: Salvation™. The limited offer is available until 23:59 CET on 26th February 2018. Offer can be claimed once per player only. LV Spins are instantly added after the deposit is completed. Wagering requirements is 35x FS winnings within five days, subject to the LV Bet bonus terms and conditions. 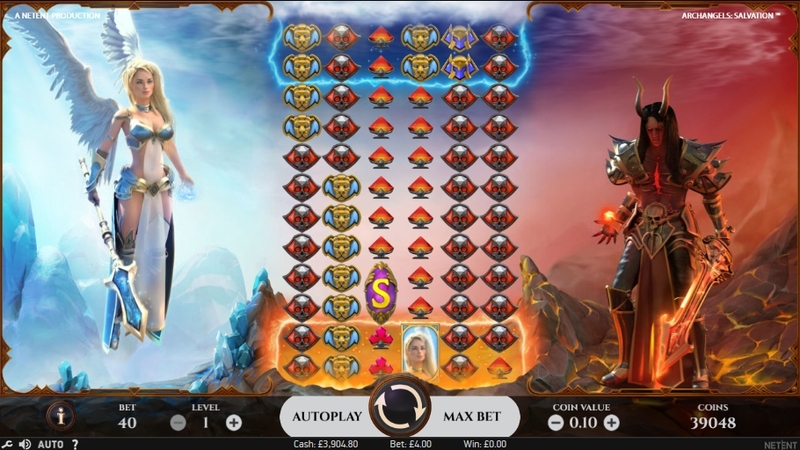 Archangels: Salvation™ is a video slot with 6 reels, 12 rows and 100 fixed pay lines, featuring Wild substitutions, stacked Wilds, two Hot Spot areas with Heaven and Hell Wild features and a Free Spins round. 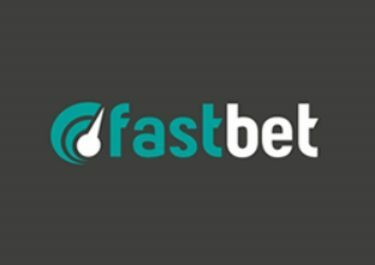 TRTP of this medium variance game is set at 96,08% and has a maximum win potential in a single spin of 375x stake for a full screen of either the Angel or the Devil symbol. Bet sizes range from €0.40 – €200. 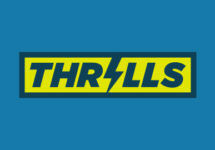 Thrills Casino – Free Spins on Archangels Salvation™!